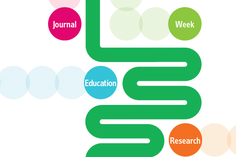 These media policies form an integral part of the press accreditation for UEG Week. By registering as a member of the press, each press representative confirms their understanding and adherence to these policies. All media activities not explicitly mentioned below need to be negotiated at the earliest possible opportunity with the UEG Communications Agency, Spink. The Press Office is open to media representatives only. Temporary press badges will be distributed at the main registration desk. Press members must then walk straight to the Press Centre to obtain their full press badge and press pack. Only journalists who present their press credentials on site will receive a press badge. The press badge must be worn to gain access to all UEG Week scientific sessions. Registration is limited to a maximum of four representatives per media outlet. Only one registration is possible per myUEG account. 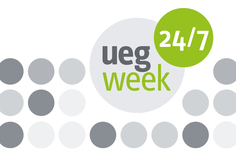 To register more than one person for UEG Week, please set up a myUEG account for each registration. Financial analysts, sales, advertising, marketing and public relations personnel may not register as media. Videotaping, sound recording and picture taking is allowed in the official press briefings and common areas of the congress venue with prior permission from UEG (Press Centre, press interview rooms and outside the entrance hall). This may be requested in advance from the UEG PR Agency SPINK or at the Press Centre during UEG Week. Videotaping, sound recording and picture taking in education or scientific sessions and exhibition halls is strictly prohibited. Live and/or simultaneous broadcasting of interviews inside the UEG Week congress venue is only allowed with prior written permission of UEG. Approval of interviewees will also be required prior to filming. This may be requested in advance from the UEG PR Agency SPINK or at the Press Centre during UEG Week. The UEG Press Office will approve requests on a case by case basis. Successful requests will receive a press pass and confirmation letter for a specific time and location. Without this confirmation letter, filming, photography and recording will only be permitted in areas that do not require approval. Transmissions, webcasts, videos, recordings and photos from UEG Week are not allowed to carry the UEG or UEG Week logo without UEG's prior approval. Patients’ organisations are invited to send two representatives to attend the press briefings Please contact the UEG PR Agency SPINK. UEG does not share media lists. The UEG, as well as the UEG Week name and logo, is a registered trademark and the property of UEG. They cannot be used in any way, for any purpose or at any time (including, but not limited to announcements, invitations, emails, web publications, etc.) without the prior expressed written permission of UEG. This can be requested from the UEG Secretariat or the UEG PR Agency Spink. All materials in written or illustrated form presented in the scientific programme are the intellectual property of the authors and all rights reside with them. Recording without proper authorisation by the holder of rights must be considered a violation of copyrights and will be prevented by the organisers of the congress. Official UEG Week images may only be used with prior authorisation of UEG or the UEG PR Agency SPINK. Use of official images in any publications (print or digital) must be accompanied by copyright reference to the official congress photographer. 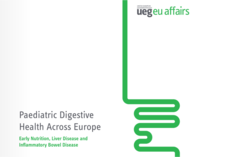 Accepted abstracts are published in a supplement of UEG Journal at the congress. Accepted Abstracts, with the exception of top abstracts and late-breaking abstracts, are made available on the congress website approximately 3 weeks prior to the congress. Information contained in these abstracts may not be released prior to their availability on the congress website. Information on oral presentations or late-breaking presentations must not be released until 00:01 of the day that it is being presented at the congress. Information on poster presentations must not be released until the poster exhibition opens. Violation of the embargo may result in the abstract being withdrawn from the congress. Company representatives are not permitted in the Press Centre. With prior permission from the UEG PR Agency SPINK, sponsors and exhibitors are allowed to display prepared press material in the Press Centre. Please contact the UEG PR Agency SPINK. The use of the UEG and UEG Week logo on sponsors and exhibitors press material is prohibited. Press briefings by sponsors and exhibitors may neither be held before the first UEG Week press briefings nor at the same time as the official press briefings. Events with more than 8 participants need the prior approval of the congress organiser.